ATVs are made to take a beating and we give that to them regularly on the trails and other venues. But we also try to keep them looking new, not only so they look good but because cleaning them helps them last longer and increases the resale value when it’s time to upgrade. If you’re lucky, you’re storing your toys in the garage, an enclosed trailer, or some other form of protection from the elements. But not everyone has that option and sitting outside in the rain and sun can age an ATV very quickly. This is the exact concern that Dowco was addressing when they introduced the Guardian ATV Covers years ago. 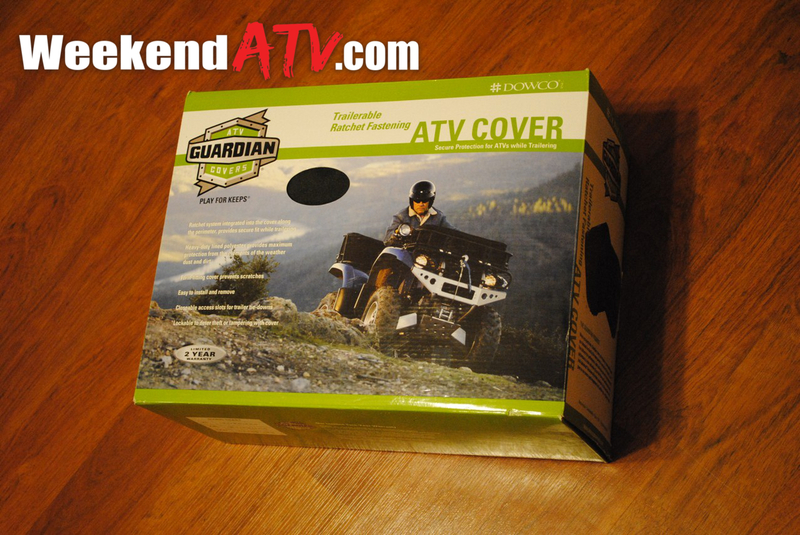 Now they’ve improved the system and released Dowco Guardian Trailerable ATV Covers. 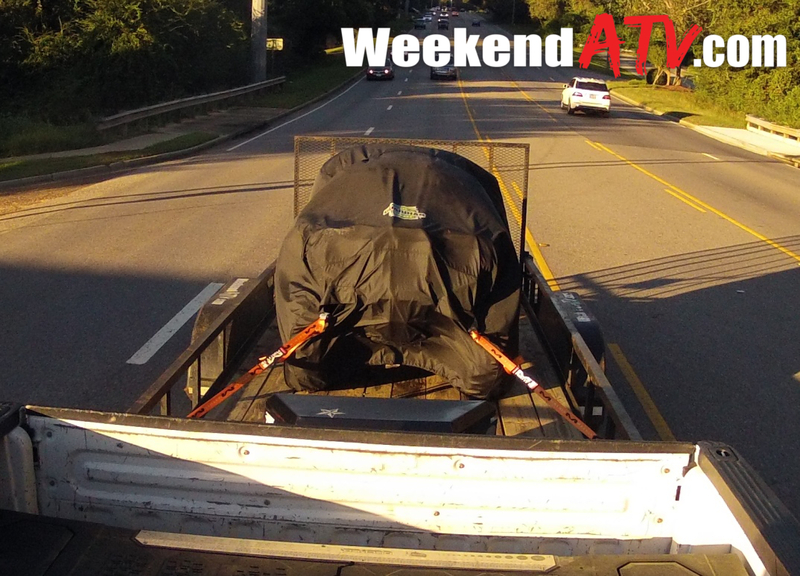 So ultimately, making an ATV cover doesn’t seem like a hard task. Take a quality material that is waterproof and blocks UV rays from fading your prized, off-road possession. Line it with something that doesn’t scratch and form it into the general shape of an ATV outline in a few different sizes. But if you want said cover to stay in place while you haul it down the interstate at 70 miles per hour, well that takes a little more creativity. The Dowco Guardian Trailerable ATV Covers are made from heavy-duty polyester and are lined to protect your ride from scratching. It protects from all of the aforementioned elements and is easy to install. Once placed over the ATV, you tighten up a pull-rope around the bottom of the tires. 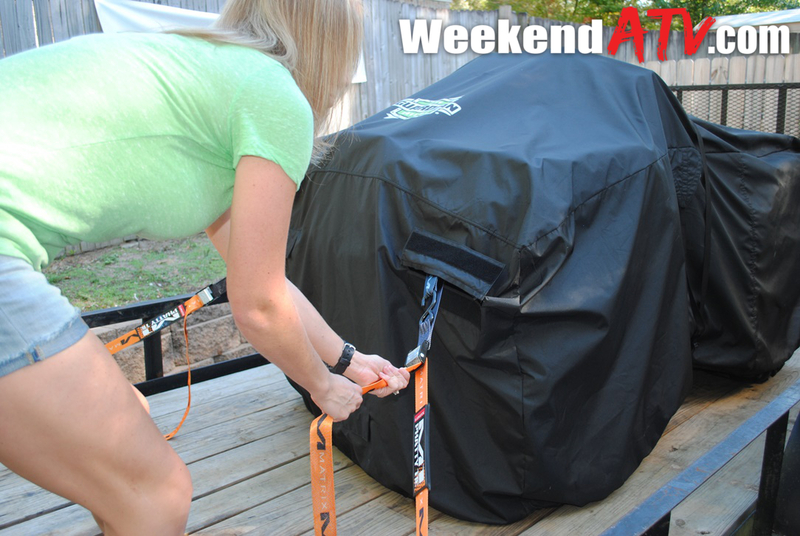 Then, secure the strap around the middle of the ATV. To secure to a truck bed or trailer there are several velcro flaps that tiedowns can be run through. There is even a pocket designed for use with Dowco’s alarm system. A would-be thief risks setting off the alarm when removing the cover. Dowco sent us the XL size cover to evaluate. It’s a bit roomy on the 2014 Honda Rancher DCT but it works well. Check the measurements on Dowco’s site to ensure the best fit. I would keep in mind any upgrades you plan to make. We hit interstate highway speeds of 80 MPH (all in the name of research!) and the cover stayed securely in place throughout the course. We ran tiedowns to each of the 4 corners. There is also a fifth tiedown slot on the lower front of the cover, near the brush guard/winch mounting area. With so many options we knew our Honda wasn’t going anywhere and nothing Mother Nature could reasonably send was getting inside. The new Dowco Guardian Trailerable ATV Covers are available in 3 sizes to ensure a good fit on whatever model you have. They are also available for Side-by-Sides and UTVs in model specific fits. Dowco has been making powersports covers for over 30 years and has several different types to meet your needs. The covers have a 2 year warranty so you know you’re getting quality here. 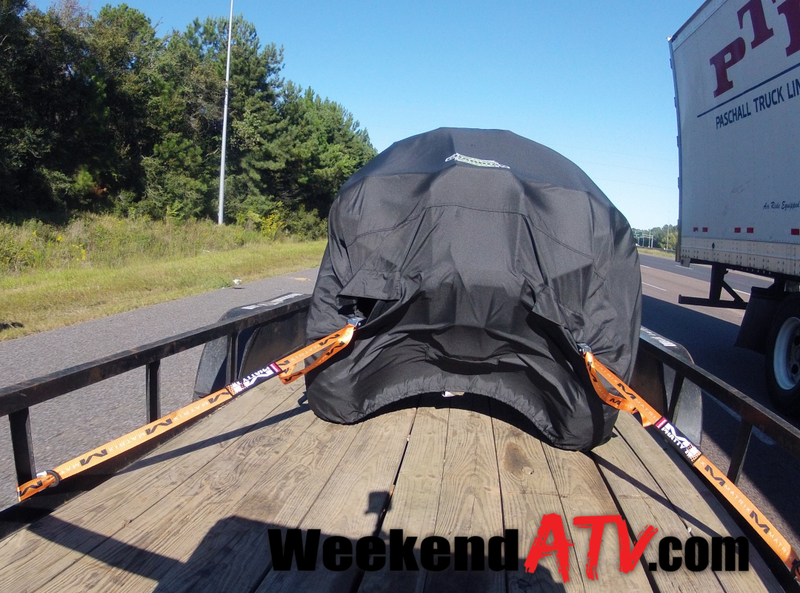 The Dowco Guardian Trailerable ATV Covers start at $189.99 and can be ordered directly from Dowco at http://www.dowcopowersports.com.